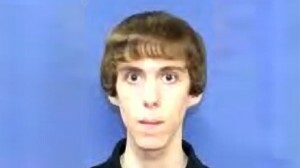 Newtown, Connecticut — According to an unconfirmed report, a former high school classmate of Sandy Hook Elementary School gunman Adam Lanza has claimed that the 20-year-old was involved in satanism. As of press time, the url of the page has not been revealed. Christian News Network attempted to reach Todd, but his phone line was disconnected. The FBI and other government officials are investigating evidence both online and from Lanza’s hard drive, which they found smashed, in order to try to obtain answers as to a motive for his crimes. According to reports, authorities speculate that he might have used devil-worshiping or suicide sites, or conversed online in some manner about his plans to murder his mother. Lanza’s barber, Bob Skuba, told reporters that Lanza always seemed detached when he attempted to connect with him. Skuba said that Lanza’s mother stopped bringing him in for a haircut the last couple of years, so he assumed that they had moved. Pastor Joey Faust of Kingdom Baptist Church in Venus, Texas recently commented online after he read that Lanza’s former classmate had claimed that the man was into satanism. According to reports, Lanza did possess a number of combat video games, such as Call of Duty and Starcraft. As previously reported, last Friday morning, Lanza shot his mother in the head while she was still in bed, and then taking her firearms and vehicle, drove to Sandy Hook Elementary School, where he began to fire upon the children and their teachers. At the end of his violent rampage, when Lanza took his own life as first responders closed in on him, twenty children and six adults were left dead, including the school principal. Medical examiners report that the majority of the victims had been shot multiple times. Sixteen of the children that died in the rampage were six years of age, and four were seven years old. All of the adults that were killed were women. One of the slain teachers, 27-year old Victoria Soto, who taught first grade, was buried today.